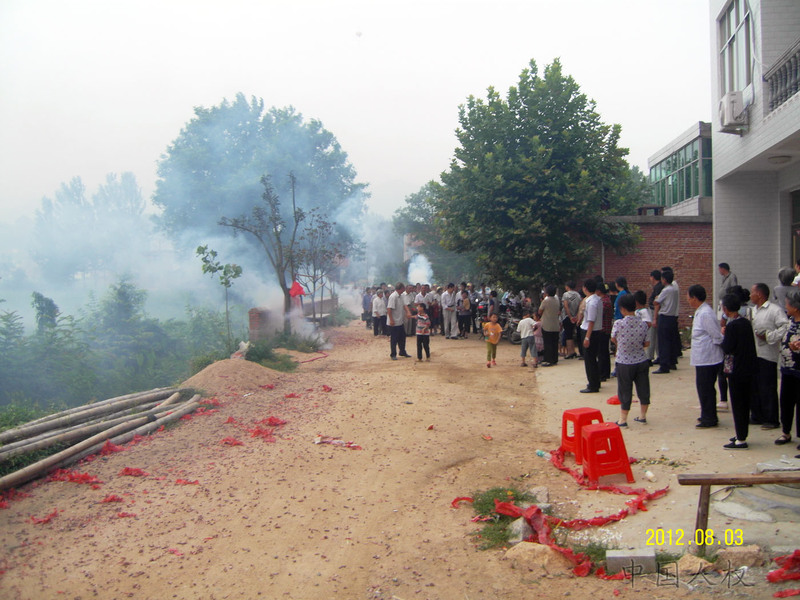 On August 3, 2012, Henan rural rights activist Hong Maoxian (洪茂先) was released from prison after serving a one-year sentence on conviction of “obstructing official business” and “destroying public property.” Hong’s prosecution arose following a clash between police and villagers in Fushan Township, Shangcheng County, Henan Province in early January 2002. The local authorities opened investigation into the incident in 2011 after Hong began making plans to run as an independent candidate in the local people’s congress election. Hong was originally sentenced to three years in prison, and the sentence was reduced to one year on appeal. He is a veteran of the Sino-Vietnamese War (1979). In this article (Chinese only), Cang Hai reports of the Fushan Township’s joyous welcome of Hong Maoxian upon his return to the village.